The global banker is second only to Warren Buffett in terms of sound philosophical advice for investors and managers. With the publication of J.P. Morgan’s shareholder report, Jamie Dimon’s distilled wisdom is now available on the reading rack. Once again, he demonstrates the most cogent worldview to emanate from the inner sanctum — an exceptional manager sees business as one part numbers and at least two parts sensitivity to human nature. 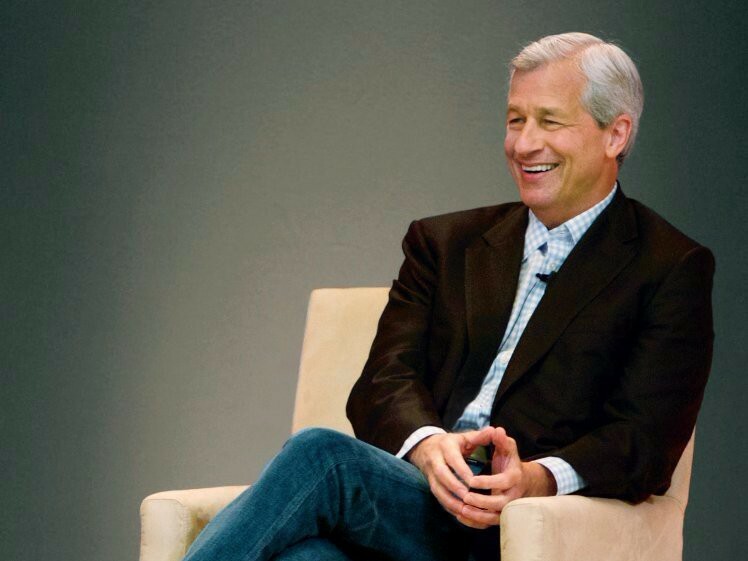 Dimon devotes a good deal of the missive to the need for managers to pay more attention to corporate culture — as well as the need to rebuild companies for an era in which employees are more important than ever. He advocates common sense diversity policies aimed at stimulating growth in lower income communities. His point to his managers, they will be judged by people metrics not just profits. We cannot be a healthy and vibrant company if we are not investing for the future. I should caution that financial success is a little more complex than short-term profits — and many investors are completely aware of this. Do not confuse financial success with profits in a quarter or even in a year. All businesses have a different customer and investment life cycle, which can be anywhere from one year to 30 years — think of building new restaurants to developing new airplanes or building electrical grids. We simply cannot deliver to our shareholders what they deserve if we do not have high-quality, motivated, committed employees. Basically, everything we do emanates from our employees. And all of this creates shareholder value. We do not try to get the last dollar of profit off of our employees’ or customers’ backs. We want long-tenured employees and satisfied customers who stay with us year after year. We would rather earn a fair return and grow our businesses long term than try to maximize our profit over any one time period. We are expanding innovative models that enable more people to share in the rewards of a growing economy. Great employees are the result of a healthy, open and respectful environment and continual investment in training and the result of management teams that are humble enough to recognize that they don’t know everything their employees do and, therefore, are always seeking out constructive feedback. We are devoted to diversity for three reasons. First, it is the right thing to do from a moral perspective. Second, it is better for business to include a group of people who represent the various communities where we operate. And third, if I can pick my team from among all diverse people, I will have the best team. Today, 50% of the Operating Committee members reporting to me are women as are approximately 30% of our firm’s senior leadership globally. They run major businesses — several units on their own would be among Fortune 1000 companies. Is there a conflict between building shareholder value vs. serving customers, taking care of employees and lifting up communities? Building shareholder value is the primary goal of a business, but it is simply not possible to do well if a company is not properly treating and serving its customers, training and motivating its employees, and being a good citizen in the community. While keeping JPMorgan Chase a healthy and vibrant company is the best thing we can do for our communities, there’s a lot more we can do. The future of business and the health of our communities are inextricably linked. We believe that making the economy work for more people is not simply a moral obligation — it’s a business imperative. Using our unique capabilities, we can do even more for our communities to help lift them up. We have broad and unique knowledge around how communities can develop, how work skills can be successfully implemented, how businesses can be started, how inequality can be addressed, how financial health can be secured, and how more families can find jobs and affordable housing.